Based on the cult Hollywood film starring Reese Witherspoon, Ryan Phillippe, Sarah Michelle Gellar and Selma Blair and the French novel, Les Liasions Dangereuses, Cruel Intentions: The ‘90s Musical is the beguiling story of two of Manhattan’s most dangerous liaisons, Sebastian Valmont and Kathryn Merteuil. 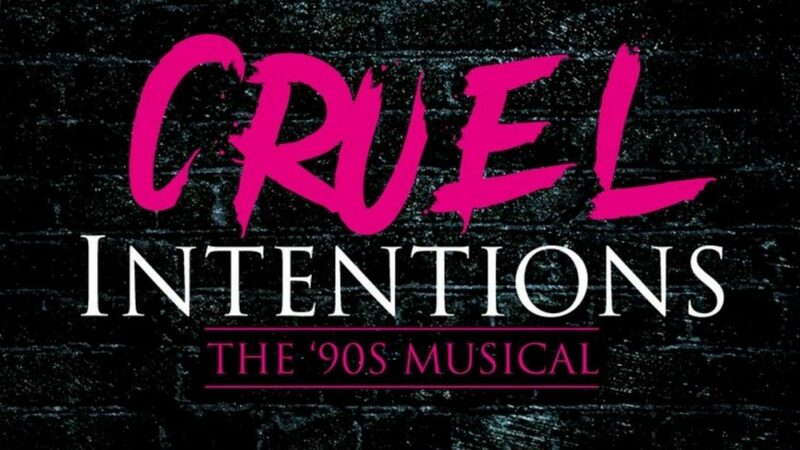 Cruel Intentions: The ‘90s Musical is laced with all your favourite ‘90s pop classics, performed live, including Natalie Imbruglia’s ‘Torn’, ‘I Saw the Sign’ by Ace of Base, Boyz II Men’s ‘I’ll Make Love to You’, *NSYNC’s ‘Bye Bye Bye’, Britney Spears’ ’Sometimes’, R.E.M’s ‘Losing My Religion’, ‘Bittersweet Symphony’ by The Verve and more. The movie premiered on March 5, 1999. Building on that film’s cult following and success, Jordan Ross, Lindsey Rosin and Roger Kumble have created a stage musical version guaranteed to delight fans of the movie and ‘90s pop music alike. After two sold out runs in Los Angeles, Cruel Intentions: The ‘90s Musical made its Off-Broadway debut at Greenwich Village nightclub Le Poisson Rouge where it extended three times and played over six months in New York. Throughout the Los Angeles and New York runs, Gellar, Witherspoon and Blair were among the attendees. The musical is currently on a North American tour. This 2019 UK premiere is being produced in the Palais du Variété Spiegeltent at Assembly George Square Gardens by Bill Kenwright, who recently produced Heathers The Musical in the West End. It will be directed by Jonathan O’Boyle. Tickets will be on sale from Assembly Festival.